I wrote in Part 1 that this isn’t necessarily like a traditional book review, which is why I placed it under the tab Other Musings. Although it’s only been about two months since I wrote Part 1, so much has happened since then. In this smaller blurb to conclude the book The Jesus Style that I’ve read and discussed alongside with others in my small group, I learned a whole lot of what it truly meant to love someone this summer. First off, this novel is great when it comes to application. Gayle Erwin writes in a manner that sounds like he’s speaking to you. 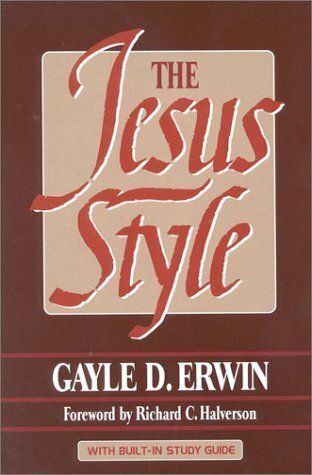 Sure, that style may not be for everyone, especially for the people who do prefer the scholarly type of writing that truly analyzes the fine details of everything. However, it was exactly what I needed this summer. Broken down into small chapters that centred on one trait he took out from Jesus’ life, it was made understandable how we, as normal and mundane people, can figure that trait into our absolutely boring lives. And let me tell you, when you try to look for opportunities to love people, those opportunities will come knocking on your door. Trust me. To not go into too many personal details and into an absurdly long story of how my summer unfolded, the bottom line is that I actually found someone to love. Now, love comes in many forms. The kind that you hear most about is, of course, your lovey-dovey OMG I’m in love kinda love. However, the ones that aren’t covered as much in our movies and books include platonic friendship love, and brotherly love, to name a few. I’m not saying which kind of love this was, but the important part is that there is lots of love for this particularly individual. When I least expect it, I found a person who I, for God knows what reason, do love. That’s not to say it was easy or that the individual was all that accepting of it. It makes it that much harder when it’s not reciprocated. But this short conclusion to this book that became so applicable at the exact right moment is to underline that it’s not because they love you back that you care for them. It’s regardless of what you receive in return that makes your love a love that demonstrates Christ. Now, I’m not trying to preach here. That is not the sentiment and purpose of such a post. This was to share my experience with the book and to share a piece of my life as I do with all the books and musings I post here. I still struggle to love someone in such a manner, but there is also a lot of joy in doing so. Joy has so wrongly been conceived as something that only occurs when one is happy. But no, joy can still occur even when one is even a bit sad. Joy is not an emotion or simply a feeling. It’s a state of being. It doesn’t just come when there is reason to be happy. Whether one is feeling sad or feeling glad, joy is consistent through the seasons. I am also not encouraging the kind of unrequited love in a not-so platonic/romantic feelings that come with that kind of love. This kind of love looks at a more selfless perspective. It doesn’t love to gain anything from that person (i.e. to get them into a relationship with you). It loves just simply because that person matters and you want the best for them. It is more others-focused and not so me-focused. With this particular person that I’ve found this book so applicable, it’s still an ongoing process and journey. It takes energy and it drains you to give time and effort for someone who takes even without knowing it. That’s where the joy comes in. I don’t focus so much on how little they are giving, but on trying to be a blessing in their life. I may not see much result yet, but that doesn’t mean it doesn’t affect them. I get bummed out when they shut me out, but pushing too hard will get me nowhere. I love them simply because they matter to me and that should be enough. I am sharing this snippet of my story in hopes of encouraging those who find themselves in a similar bind. Love doesn’t necessarily get easier with time. But here I found the source and example to which I follow in how to love someone like that. If you ever want to hear the full story, send me a message and I’d be more than happy to share life with you too.